An accessory kit to convert Trick bass pedals to chain drive. This PRO 1 V Retrofit Chain Kit can help turn a direct drive PRO 1 V or Bigfoot into a chain drive in less than one minute. 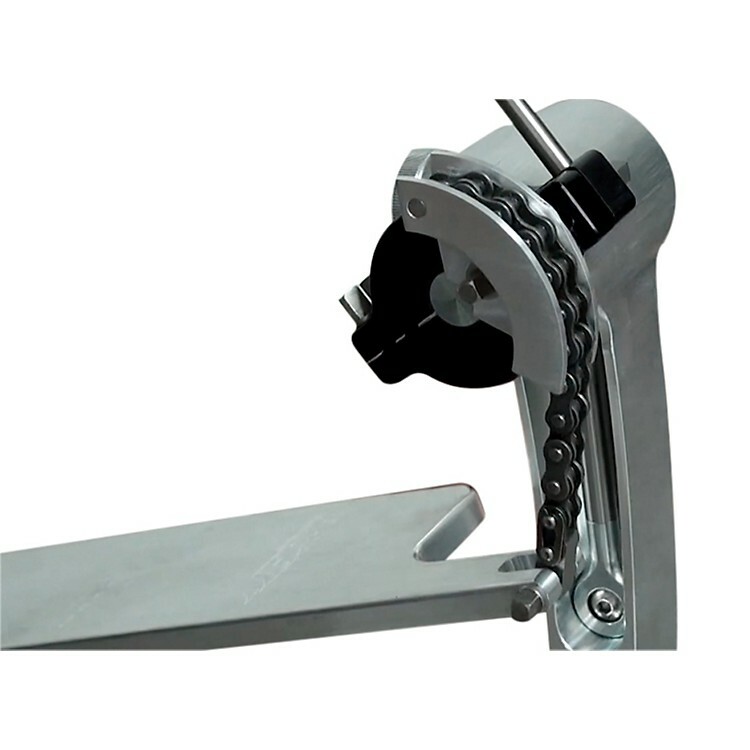 The chain drive has a unique 3-point pin system which allows the user to change the position of the chain (thus the feel) simply by loosening a screw and moving the chain hub. The cam still functions like an existing direct drive models where by rotating the cam on the center axis the user can adjust the foot boards angle.